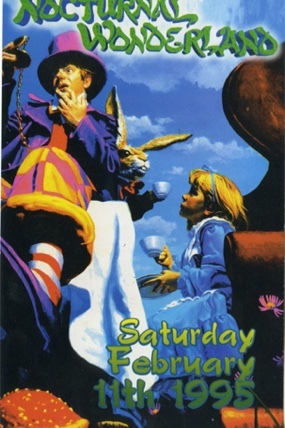 Insomniac may have been Wide Awake Since ’93, but its story started long before, in the warehouses of Los Angeles. At the age of 17, Rotella hosts his first event in Los Angeles. 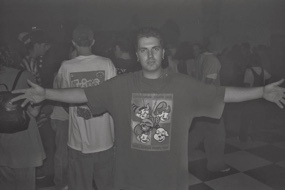 Called “Unity Grove,” the party featured DJs Steve Loria and Sean Perry. 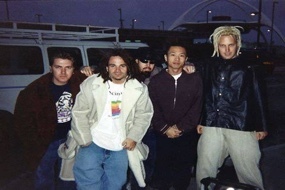 Insomniac gets its official start in October of 1993, with the first Insomniac underground event taking place in a warehouse in South Central Los Angeles. 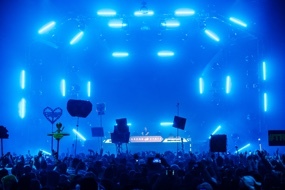 The first ever Nocturnal Wonderland is held, which has become Insomniac’s longest running festival brand. 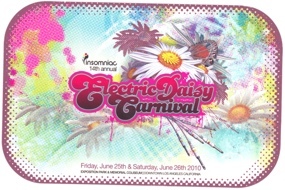 Insomniac’s other signature event, Electric Daisy Carnival, debuts at the Shrine Expo Hall in Los Angeles. 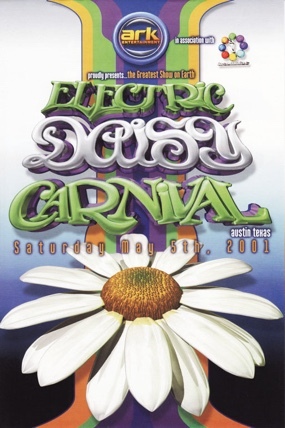 Over the years, Nocturnal Wonderland has been held at a number of different locations, including the Empire Polo Field in 2000, where a record-setting 40,000 people attended. EDC travels outside California for the first time with the inaugural edition of EDC Texas at the Thunderhill Raceway Park in Austin. Insomniac debuts the all-new Bassrush brand, which celebrates the various flavors and sounds of bass music. EDC also hosts the first-ever Bassrush Arena as a stage this year. EDC introduces the stage names fans know and love today, including neonGARDEN, bassPOD, cosmicMEADOW, circuitGROUNDS and kineticFIELD. 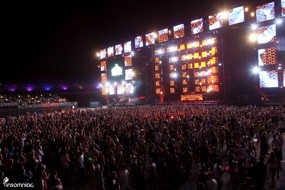 Insomniac launches the first-ever EDC in Puerto Rico at the Arena Fairgrounds in San Juan. 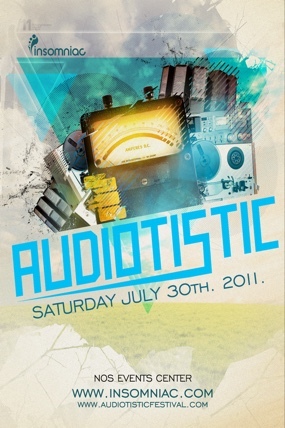 Since its inception in the underground scene in 1996, Audiotistic events have grown into a fan favorite on the West Coast with its diverse musical blends of electronic, hip-hop, and turntablism. 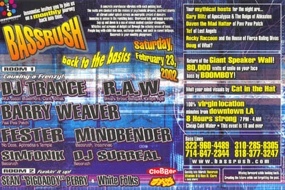 In 2009, it became an Insomniac Experience. 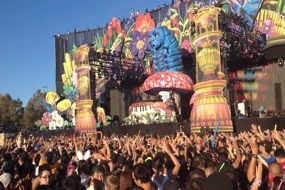 EDC welcomes its biggest crowd in Los Angeles, with up to 185,000 people over two days at the Los Angeles Memorial Coliseum and Exposition Park. Insomniac is featured on Fast Company’s Top Ten list of the “Music Industry’s Most Innovative Companies,” alongside Spotify and Vevo. 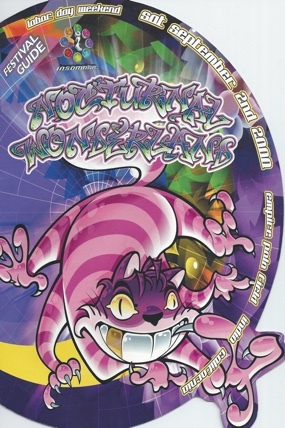 The inaugural Beyond Wonderland is held at NOS Events Center in San Bernardino, CA to a sold-out crowd, serving as a springtime sister festival to Nocturnal Wonderland. 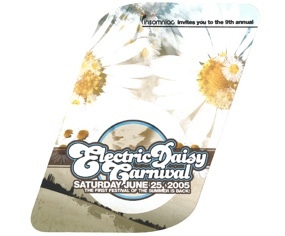 Electric Daisy Carnival moves from Los Angeles to the Motor Speedway in Las Vegas, Nevada. 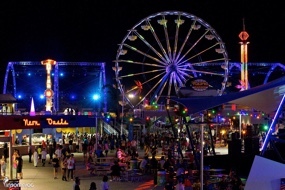 The three-day festival has infused more than $1.5 billion dollars into the Clark County economy. 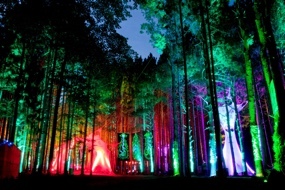 Insomniac and Madison House partner to create Electric Forest, a music, camping and art festival in Rothbury, Michigan. 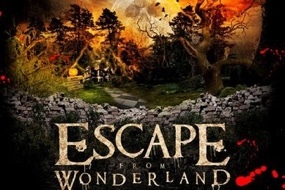 Escape From Wonderland, now known as Escape: Halloween, launches, bringing together a sold out crowd of 45,000 custom-clad fans. 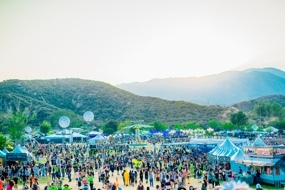 Insomniac Cares is formed, allocating $1 per festival ticket transaction to worthwhile nonprofits in the communities and neighborhoods where Insomniac’s events are held. 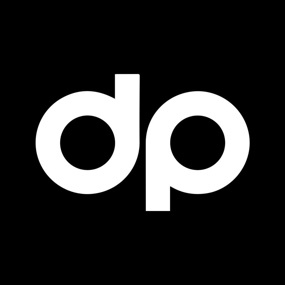 In 2012, Insomniac creates the Discovery Project, a submission-based platform aimed at cultivating emerging talent in dance music. 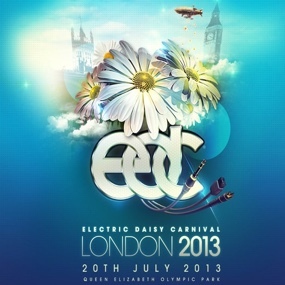 Electric Daisy Carnival hosts its first international festival in London at the Queen Elizabeth Olympic Park. 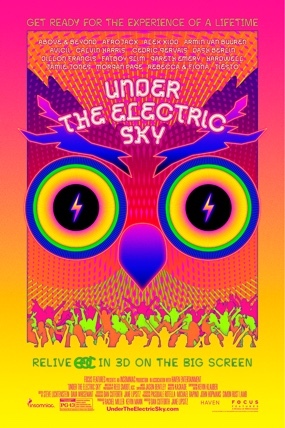 “EDC 2013: Under The Electric Sky” premieres as a ‘Festival Choice’ at the Sundance Film Festival in Park City, Utah. 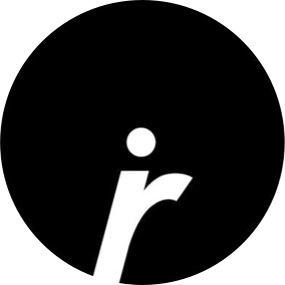 In May 2014, Insomniac forms Insomniac Records, a dance music record label aimed to give both undiscovered and established producers an opportunity to have their music published. 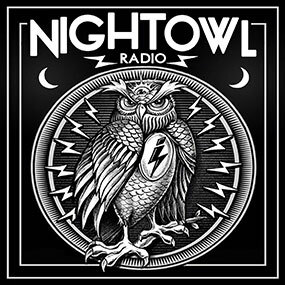 Rotella launches Night Owl Radio, a weekly radio show featuring guest appearances from globally renowned dance music artists. 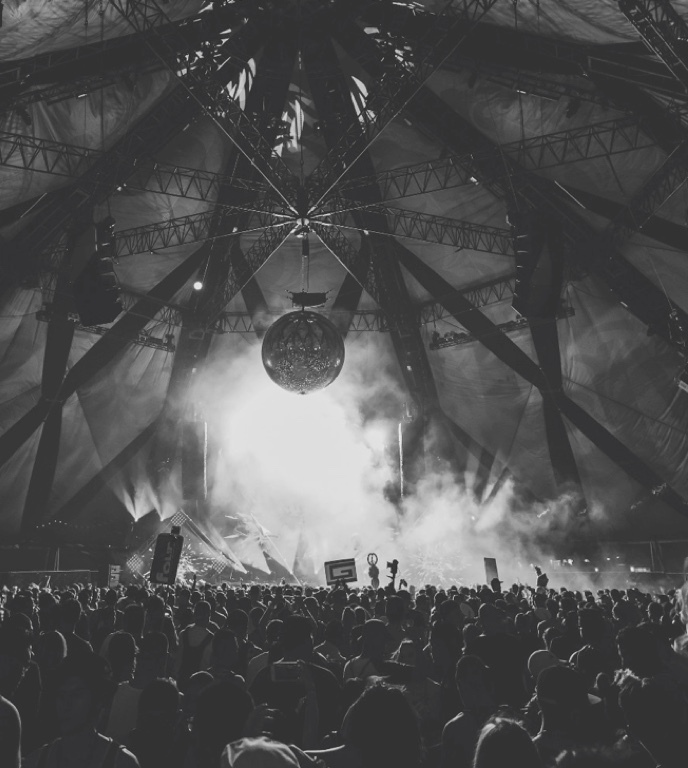 Dreamstate is created in response to the growing Trance movement in the US. The festival has premiered to sold out shows in Australia, the UK and Mexico, as well as multiple cities across the US. 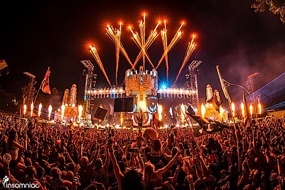 Nocturnal Wonderland celebrates 20 years, bringing together 85,000 fans for a three-night celebration. 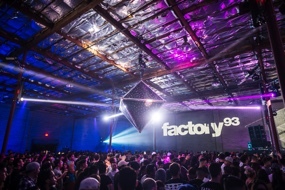 In April of 2016, Factory 93, Insomniac’s techno and deep house party, launches its first event, welcoming a sold out crowd in downtown Los Angeles. 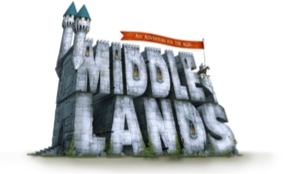 Insomniac and C3 Presents announce their plans to partner for the first time for a new medieval themed festival, Middlelands, to take place in Texas. In the summer of 2016, over 400,000 Headliners attend the 20th anniversary celebration of EDC in Las Vegas. 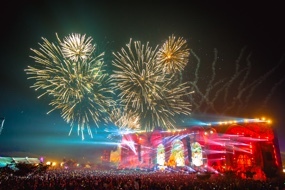 EDC debuts in Asia, hosting thousands of fans in Delhi, India. 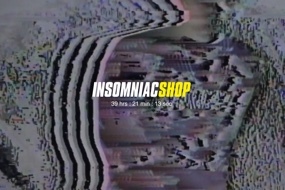 Rotella works with Fresh Jive founder and iconic streetwear designer, Rick Klotz, to create stylized merchandise pieces for the relaunch of the Insomniac Shop. The inaugural Middlelands festival takes place in Texas, where 66,000 fans gather for three nights of music and camping. 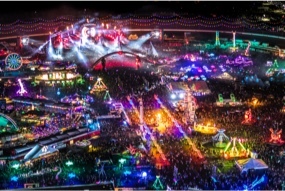 In honor of the 21st edition of EDC Las Vegas, Clark County and the city of Las Vegas commission a street on the Las Vegas Strip to be named “Electric Daisy Lane” during EDC Week.